CV Joint & CV Axel - Constant-velocity joint. Also Known As CV Joint & CV Axle. These are the all-important part that drives the wheels as they transfer the power/drive from the differential to the wheels. 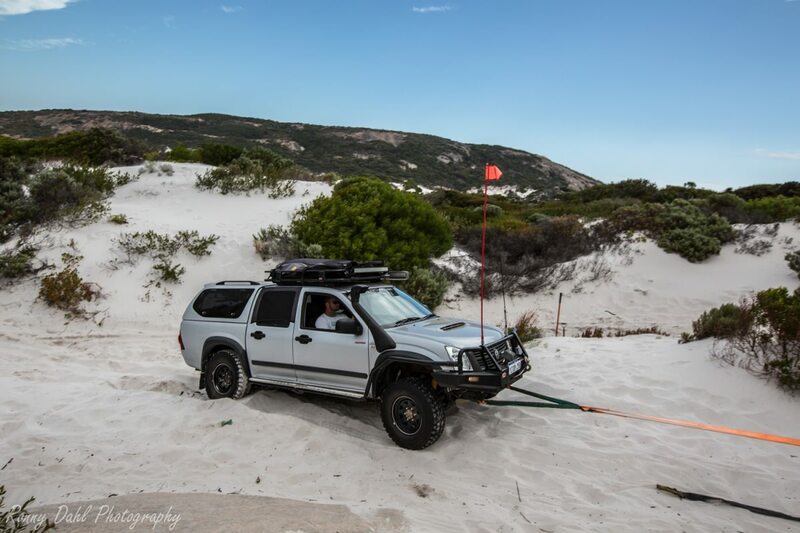 CVs are used on Independent front suspension vehicles (IFS) and even some of the newer Rear Independent Suspension vehicles like the 2013 Nissan Patrol. 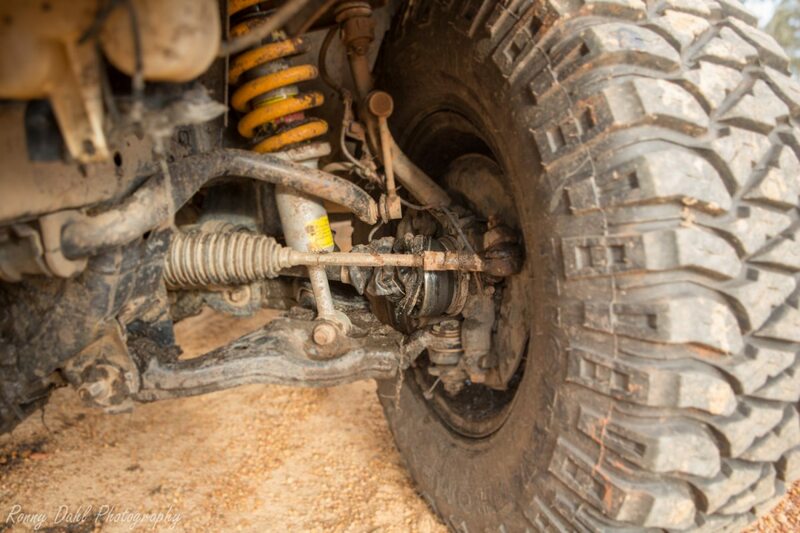 IFS CV joints have more moving parts which make them weaker than the live axle type, as the live axle (also known as a solid axle) is a straight piece connected to the diff at one end and connected to the hub at the other. Holden Rodeo With A Broken CV-Joint Need A Bit Of Help. The genuine vehicle manufacturers CV’s are usually the best available, however there are after-market improvements like Super strong CV's available but they come at a cost and may need to be custom made, be very careful with other aftermarket CV's as if it's cheaper than the manufacturers axles then they are more than likely weaker as well. Cv Joint Repair On The Track. In case something does happen on the tracks and a CV is broken the cheaper knockoffs are still good to have as a spare just to get you out of trouble. This will require one to know how to change them though and it requires specific tools one of those is a 35 mm spanner which some mechanics don't even have! If keeping a spare it would be wise to keep the less used tools in the same area including the spare grease which will be needed. The biggest weakness of a CV in an IFS vehicle is the boots (the protective covers) and luckily they are an easy fix on the tracks if repaired early. Busted CV Boot On A Toyota Hilux. Anyone can fix them with some simple tips on how to! Follow this link and if it ever happens to you there is a good chance you will be able to continue on you journey are get the vehicle home on its own stream! CV boots and how to repair on the tracks and trails. 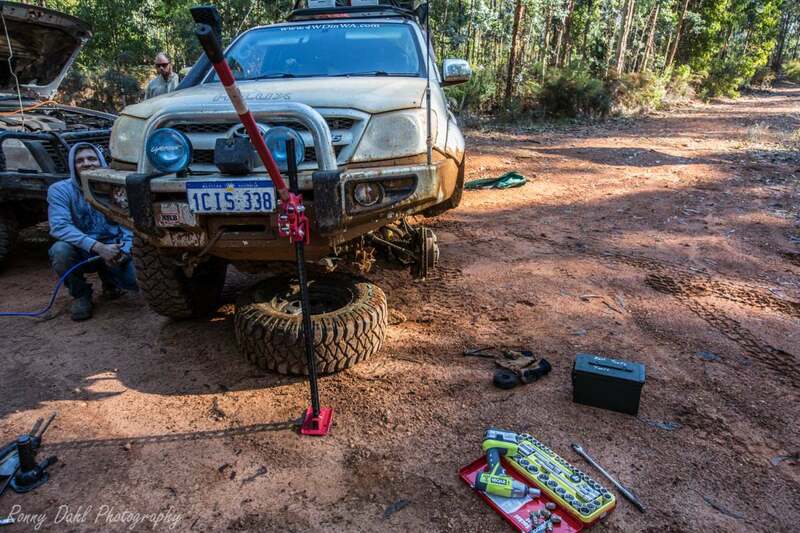 Leave CV Joint And Go 4 Wheeling In Western Australia.